Our family can honestly say that we were completely satisfied with the services we received through Brian and Kathy and their entire team. From the beginning, we were impressed with their personal approach, professionalism, attention to detail, and hard work. We had the pleasure of working with Brian Moring from Your Realty Partners and he was fantastic! We are first time home buyers and Brian was patient and answered every question we had. He was very knowledgeable and honest with his opinions about all the homes we viewed. We highly recommend Brian! 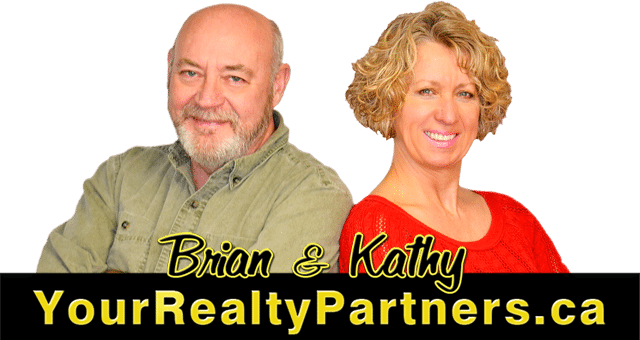 Brian and Kathy, and their team, have helped us purchase two properties this year and sell one. Their friendliness and professionalism made the process a pleasure. I recommend them to anyone who is looking for a quality team of Realtors. In completing this review I was able to rate all of the things that we appreciated about their work. They had great knowledge about neighbourhoods, were very clear as we took each step through the process, answered emails, texts and calls very quickly, and were an asset during the offer process.